Set to be launched by a soon-to-be unveiled celebrity, the 60 vehicle-strong convoy will head down to Dover and then cover a total of 3,000 miles across Europe – 5 miles for every fallen Forces hero since the start of the Afghanistan campaign. The memorial rally will bring together current Forces personnel, veterans and civilians, united by a love of cars and a desire to support our Armed Forces. Rally for Heroes is a biennial event held since 2010 and is raising money for SSAFA, the Armed Forces charity. 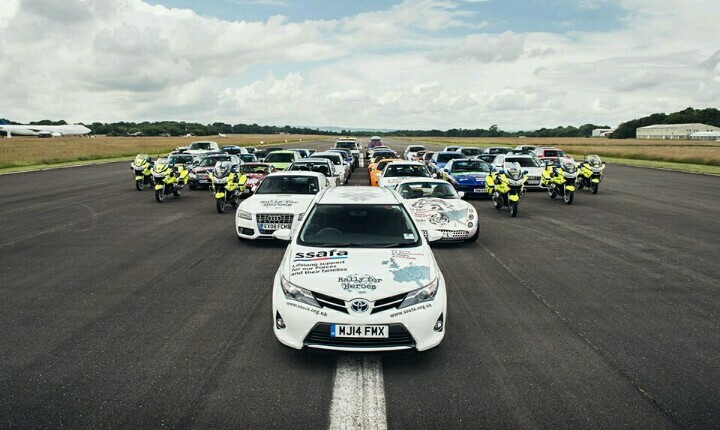 Aiming to achieve a cumulative target of half a million pounds raised for charity by 2018, the Rally takes place over 10 days, visits 10 countries and will raise a further £100,000 for SSAFA. The Rally for Heroes adventure will launch from Horse Guards parade in central London. A memorial service will be conducted to mark the sacrifice made by so many service men and women in the Afghanistan campaign. There will be a display by the Army to mark the occasion of the Year of the Engineer. The RAF will be there to celebrate its 100th year, supported by 2 limited edition Aston Martin cars – the Spitfire@80 V12 Vantage S and “Red 10” the Red Arrows themed Vanquish S. To conclude the proceedings there will also be a fantastic military send off to include the band of the Coldstream Guards. West’s The Way To Support Veterans!